Preserve the beauty of your flawlessly restored vintage Mercedes-Benz for future generations with our lifelong anti-corrosion protection. 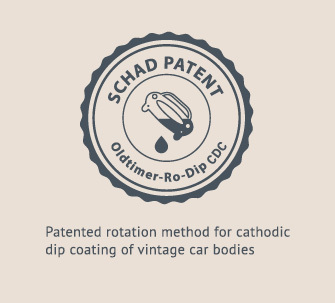 At SCHAD Originale, after decades of research, we developed a proprietary method – the only one of its kind worldwide – that enables us to provide vintage car bodies with lifelong protection against rust. Guaranteed. The basis is cathodic dip coating, a standardised industrial process which is a widely used, proven method of protecting metals against corrosion. The car body is mounted in a frame which is moved along via an overhead conveyor system that enables the body to be dipped in a series of basins, each containing a specific chemical. The coating thus applied is then fixed by heating it at temperatures in excess of 200 degrees Celsius. Even with a number of holes drilled into the body beforehand, bubbles can form during dipping, with the risk that corrosion will set in at these points later on. To ensure that the coating penetrates smoothly into every angle and cavity, we developed a rotation method specifically for vintage car bodies, for which we were granted a patent. 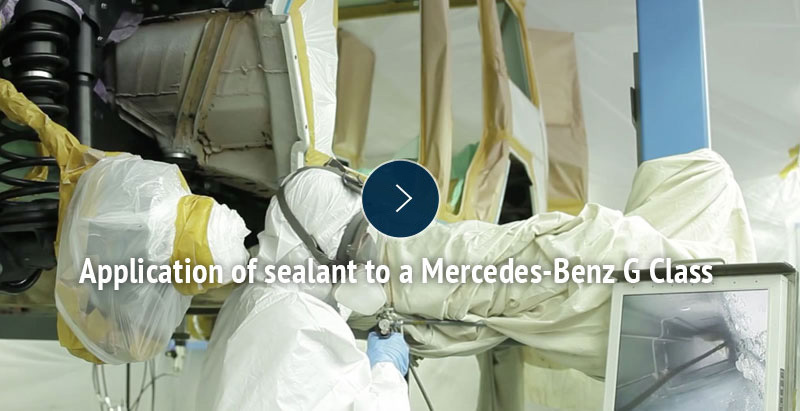 Thanks to this unique rotation feature, the anti-corrosion coating is evenly applied and fully effective, and your vintage Mercedes-Benz car is reliably protected from corrosion. On a lifelong basis. 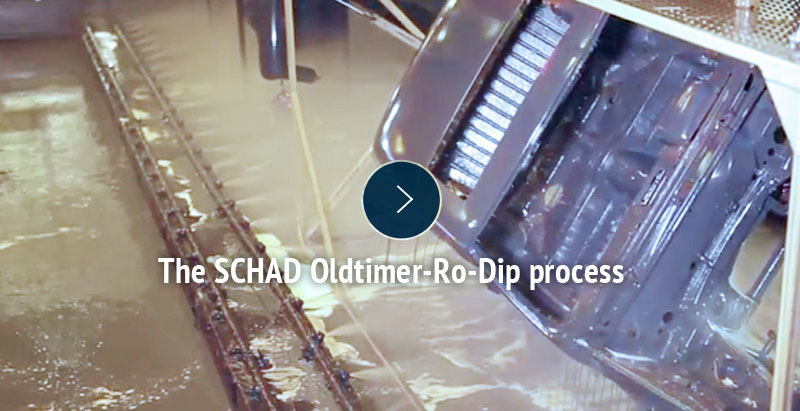 The Oldtimer-Ro-Dip process for vintage cars is available only as part of a complete restoration, since the process is possible and feasible only with a fully restored car body. With the help of our meticulous preparatory work and a combination of oils and waxes specially designed for your vintage or classic car, we can provide lasting protection against corrosion even in cases where the vehicle is not fully disassembled. To assess the current condition of the body and prepare the vehicle for the subsequent work, we first carry out an endoscopic examination and clean the entire underbody via dry ice blasting. We then apply a special pre-sealant that penetrates into every cavity of the car body. The pre-sealant is an environmentally friendly oil with added chemical components such as phosphates and tannins. Finally, a wax sealant is applied to prevent moisture and air from reaching the car body. To check our work and to ensure that your car body is protected down to the last crevice, an endoscopic examination is once again carried out. The entire process is supported with extensive photographic documentation. As shown here in the example of a Mercedes-Benz G Class, the vehicle can also be extensively disassembled prior to this process if the goal is to achieve the greatest possible level of anti-corrosion protection.